If you have been injured in an Auto or Motorcycle Accident, the “Crunch Doctor” can help! Our independent health care providers and support professionals have convenient office hours. For more information, or to set an appointment. The “Crunch Doctor” is a team of independent health care professionals working to your best interest. We strive to make your recovery from an automobile accident or motorcycle accident as painless as possible. By working together with your health care providers, insurance company, and legal counsel, our goal as the “Crunch Doctor” is to help you put together a plan of action with the right medical professionals that will lead to full recovery and pain management from your car or bike crash injuries. …there is no doubt that individuals involved in minimum structural damage collisions develop symptomatology consistent with whiplash type neck distortion soft tissue injuries. Practicing health care providers who examine these patients document findings that are consistent with soft tissue trauma. These include alterations of segmental motion, alterations of joint end play, postural distortions, alterations of normal tissue textures, abnormal sensitivity (pain) to local pressure, swelling, etc. If you have been injured in an auto or motorcycle accident, then you need to see a caregiver as soon as possible. Even if you do not think you suffered injury, and 'feel fine' immediately afterwards, studies show that rear end collisions and accidents that happen at speeds even under 15 mph can cause soft-tissue damage, including whiplash and other neck and head injury. Don't delay, contact a healthcare professional as soon as possible. Give us a call if you have any further questions, or to set up your appointment. Remember, under the new Florida laws, you need to see a caregiver within 14 days or risk losing some of your coverage options. Seek professional care as soon as possible after any accident. Head Injury– Your head can suffer significant injury during an accident, due to the proximity of glass, steering wheel, dashboard, and other objects that can either hit or be hit by your head. Concussions, dental injury, scrapes, and lacerations or often common head injuries. Because your head is often the prime area of impact during an accident you should always have your head area checked thoroughly for any injury. Whiplash/Neck Injury – A severe strain of your neck muscles, or an injury to a disk in your neck can lead to lifelong or extensive damage. 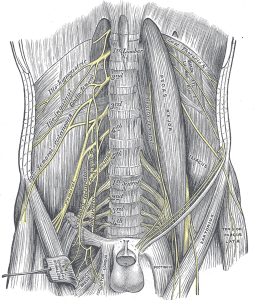 Physical therapy, chiropractic care, and even surgery may be required to fully treat an injury to this area. Chest Injury – From contusions and bruises, to broken bones or internal injury, the chest area is another are which commonly suffers injury from an automotive accident. 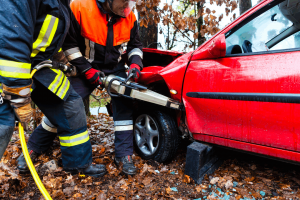 Broken Bones – Obviously any broken bone is a severe auto injury, and unfortunately, one of the more common injuries suffered during a traffic accident. Some breaks can be set with a cast, while others will require surgery and a long-term rehabilitation process. Other type of external or internal injury – There are many other areas of the body both internal and external which may be injured from an automotive or motorcycle accident. This list is not meant to be construed as medical advice or a full list of the type of auto injury or motorcycle injury an individual may receive after a traffic accident. However, we do stress that after an accident, no matter how ‘severe’, you seek professional care as symptoms do not always surface immediately. With changes to how your insurance benefits may work after 14 days from the time of the accident, your window to begin treatment with full benefits is limited. 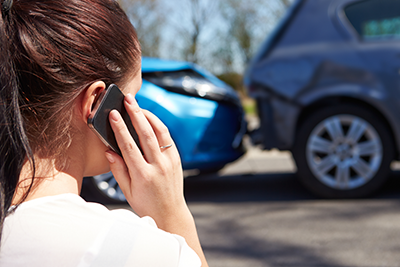 This is not to say you will not have coverage after 14 days, and for any legal questions about your insurance coverage and your rights after an accident, we do recommend you seek the counsel of a personal injury attorney in the Sarasota area.